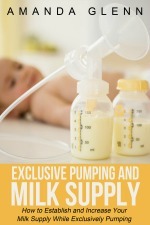 When you’re exclusively pumping, you need easy access to your breasts as much as a nursing mom does! In addition, though, you also want to be sure that your bra works with your hands-free pumping setup. 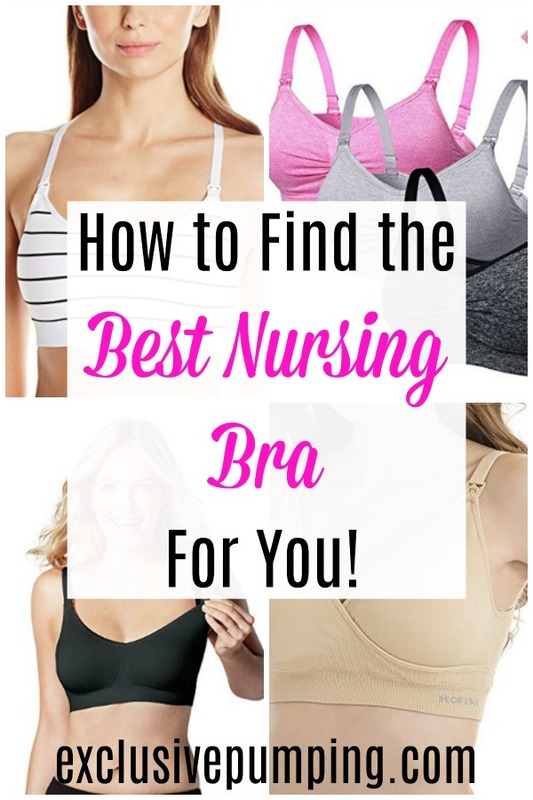 Here are six of the best nursing bras for pumping, including the different types of bras, and what to look for when picking one. The two major things that differentiate nursing bras are design and the function. 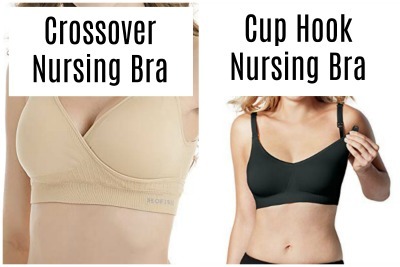 Obviously, the difference between nursing bras and regular bras is the “easy access” functionality. Most bras intended for breastfeeding moms accomplish this in one of two ways – either through a crossover design, or by putting hooks on the top of the cup. 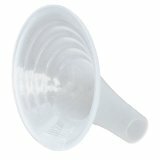 The crossover design is really easy to use – all you need to do when you’re ready to pump is push the cup fabric to the side of your breast and out of the way. The downside is that these bras can also provide somewhat less support, because there may not be as much support in the middle of the bra. The cup hook design, on the other hand, has a little hook at the top of each cup. When you unhook them, the fabric falls forward so that your breasts are accessible to your pump or your baby. Both nursing bra designs usually include removable padding for catching leaks. 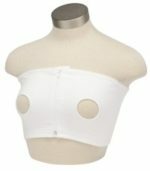 As with normal bras, manufacturers design nursing bras for different functions. Most of these fall into the category of sleeping nursing bra, sports nursing bra, or just a plain old everyday nursing bra. How are they different? Sleeping bras are usually more comfortable and are intended to provide some support and hold your breast pads in place; they aren’t really meant for daily use or exercise. Sports nursing bras are obviously intended to be worn when you’re working out, and therefore they provide the most support. And, of course, everyday bras are for going to work or Starbucks or just staying home. What are the best nursing bras for pumping? There are a few things to consider if you’re going to be using your bras mostly or exclusively for pumping. Unless they have twins, nursing moms only nurse on one side at a time. 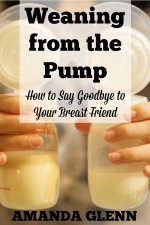 However, most exclusive pumpers double pump, so you want to make sure that your nursing bra gives you easy access to both breasts at the same time. This isn’t a problem with nursing bras with the cup hook design, but may be an issue with some crossover bras. In my experience, when both sides are pulled down on some crossover bras, the cup fabric will creep back up while you pump, getting in the way. If you haven’t bought a hands-free pumping bra yet, getting nursing bras that integrate with one can be work really well. In some cases, the manufacturer will provide an a hands-free piece that attaches to their nursing bras; other times, the bra itself has the ability to function as a pumping bra without anything additional. Pumping moms might not need all of the different types of nursing bras. Sports nursing bras are one example. While nursing moms might be exercising with their baby in a Mommy and Me class and need to stop and nurse, exclusively pumping moms are rarely going to need to have to stop exercising so they can pump immediately. Therefore, a normal sports bra can work fine. 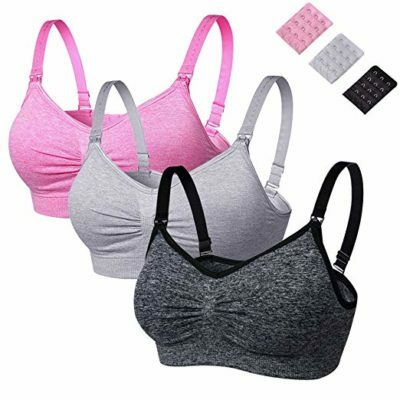 On the other hand, though, comfort is really important in nursing bras, and women who are prone to clogged ducts or mastitis might want to use a nursing sports bra that is designed with nursing breasts in mind (i.e., without wires or seams that may be a problem) – even if they never actually use it while pumping. Below are six awesome options for bras when you’re exclusively pumping. These Surewin seamless nursing bras are perfect for everyday use, and you get three in a package. The Bravado Body silk nursing bra is a higher-end nursing bra that a lot of women prefer due to the comfort it provides. This bra integrates with the Clip and Pump Hands-free Pumping bra attachment (review here). This Rosie Pope bra is a good choice if you work out and are prone to plugged ducts. Very supportive, good for working out, running, etc. This Rumina nursing bra is also a hands-free pumping bra – no additional equipment required! CAYKE makes a high-quality crossover sleeping bra; three bras come in a package. The Hofish Seamless nursing bra is another great crossover nursing bra. Price – Bras can be really expensive, but luckily – given the short amount of time that you’ll use them – many nursing bras are pretty affordable. If price is an issue for you, a three-pack of everyday use bras for under $25 like the Surewin Nursing Bras are a great choice. If you’re wanting to spend more for look or comfort, the Rosie Pope and Bravado Silk Seamless bras are good options. Comfort – Comfort is more important when it comes to nursing bras than it is with regular bras, because any pressure against your milk ducts from a badly placed underwire or strap could led to a plugged duct. None of the bras listed above have wires, and most are seamless because of this issue, so just keep this in mind if you consider other bras. Integration with Hands-free System – Getting nursing bras that integrate with a hands-free pumping bra can be a good way to go. The Bravado Clip and Pump hands-free bra is a great option to go with the Bravado Silk Seamless bra (plus Bravado offers other nursing bras that work with it). The Rumina nursing bra is another good choice. What’s your favorite nursing bra? Tell us in the comments! « Oatmeal Experiment: Does Oatmeal Increase Milk Supply? Loved the Rumina bras! They made EPing at work and on the go much less of a hassle. I used the Medela strapless at home (when not wearing a bra) but preferred the Ruminas for when I had actual clothes on. A few more cons: They aren’t padded, so if you’re wearing something skintight, you’d want to add nursing pads. And the hook-and-loop Rumina I used eventually lost one of the hooks (this was after about a year of almost-every-other-day use, though). Overall I was very pleased with them and recommend to anyone who doesn’t want to be fiddling with putting on/taking off an additional pumping bra multiple times a day. Awesome! Thank you for the info! !